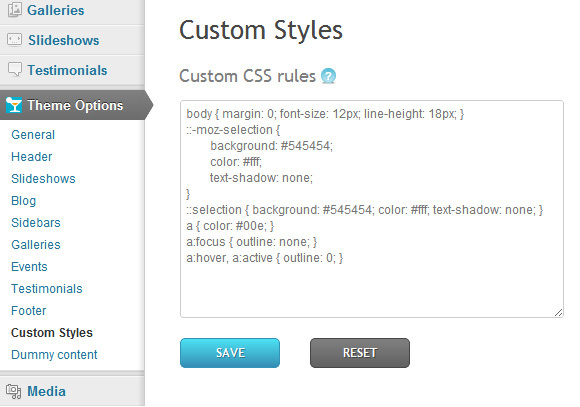 Custom Styles option allows you to add custom CSS rules from admin panel instead of editing core theme files. 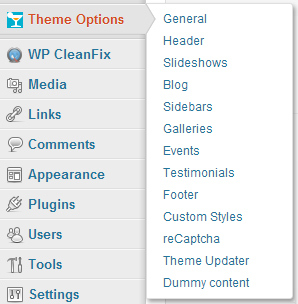 To add Custom Styles navigate to Theme Options -> Custom Styles page at your Dashboard. You can add custom CSS rules from admin panel. It allows you to change theme look without editing core theme files, intead of editing core theme files. You can check “CSS Tweaks” section in our FAQ to find some sample code pieces.